KeyWiki has 119,153 articles and counting. Nagin is a member of the Newspaper Guild, Communications Workers of America, and he is a delegate to the North Shore AFL-CIO and serves on its political coordinator's committee. He also represents the Peoples World on the steering committee of Cleveland Jobs with Justice. In 2014, he still served as the Democratic Leader in Cleveland Ward 14 and served on the Cuyahoga County Democratic Party Executive Committee. Nagin temporarily resigned as head of the Ohio Communist Party to take the council job. He served as Cintron's go-to guy for seven years before being fired because he had begun to assemble a campaign to seek the Ward 15 council seat without the blessing of council leaders. 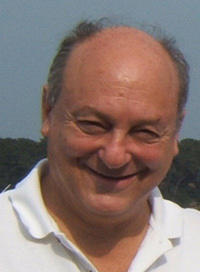 Rick Nagin was Labor Coordinator for Dennis Kucinich's 2008 Presidential primary campaign. He said the Communist Party USA has an honorable and distinguished history of working for economic, civil and democratic rights. In 2017 Cleveland City Councilman Brian Cummins faced a spirited challenge from Jasmin Santana, a longtime ward resident who has been endorsed by the ward's Democratic club and its influential leader, Rick Nagin, who finished second to Cummins in the 2009 election. Nagin played a major role in her election. Wrote leading Connecticut communist Joelle Fishman in a February 1 2018 article on the Communist Party USA website "Building the party at the grassroots and winning elections:"
We will hear from Cleveland, Ohio about a big victory electing the first Latina to city council and how the (Communist Party's} West Side Club has been at the center of that campaign and successfully took on red baiting in that key election.